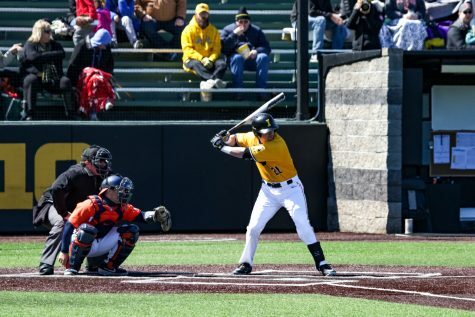 Thanks to some late-game offense and strong pitching, the Hawkeyes took down the Boilermakers to win their third conference series in a row. 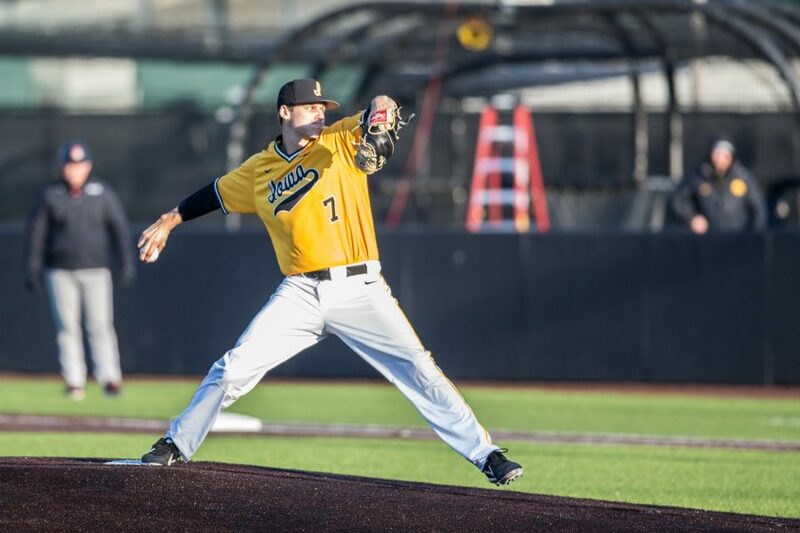 Iowa pitcher Grant Judkins throws a pitch during the second game of a baseball doubleheader between Iowa and Cal-State Northridge at Duane Banks Field on Sunday, March 17, 2019. 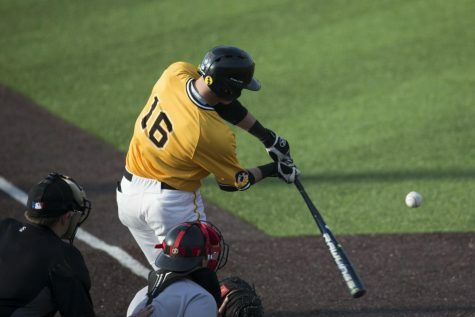 The Hawkeyes took the series by defeating the Matadors, 3-1. 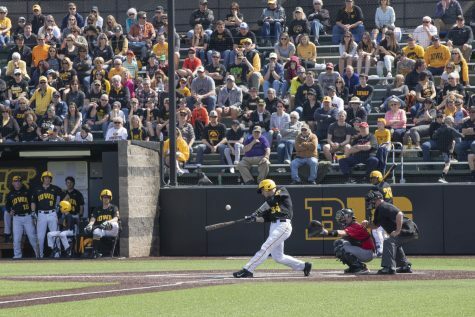 Another three-game series for Hawkeye baseball, another series win. 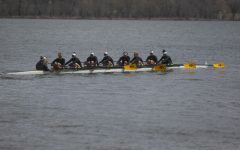 Iowa took down Purdue in the teams’ final meeting on April 13, 6-3, thanks to a 4-run explosion in the top of the eighth. 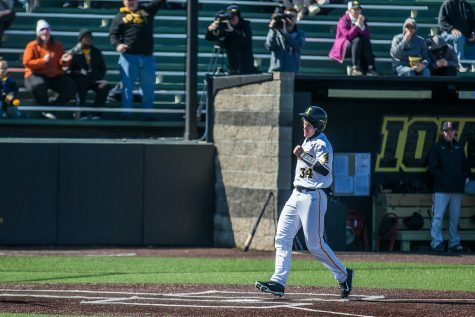 Austin Martin’s first hit of the series came at a prime time: His 2-run single gave Iowa its first lead since the top of the second. Then, Ben Norman sent a ball over the fence for his fifth home run of the season — a team-best mark. 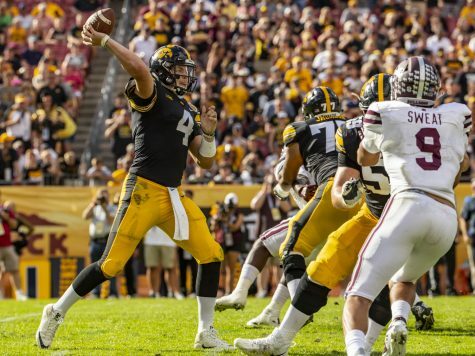 And while the Hawkeye offense clicked in the clutch, Iowa’s defense kept the Boilermakers at bay all game long. Grant Judkins lasted 7.2 innings on the mound, giving up just 3 runs. He allowed 7 hits and struck out a trio of opposing batters before Grant Leonard took over. 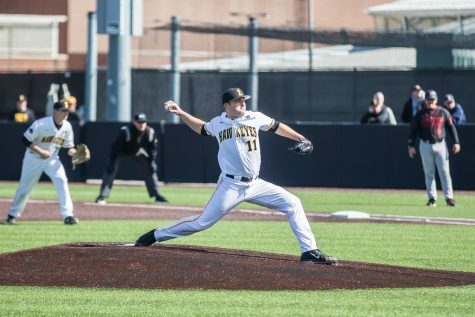 Leonard made light work of Purdue; the junior kept the Boilermakers hitless in his 1.1 innings. All in all, Heller was pleased with the bounce-back effort from his group, especially on the defensive end. Earlier that day, though, Iowa hit a speed bump in the series, falling, 9-5. The Hawkeyes clung to a 5-4 lead going into the bottom of the seventh, but that’s when things fell apart. 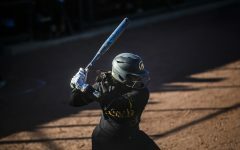 The Boilermakers boomed for 5 runs, and the Black and Gold could not counter. 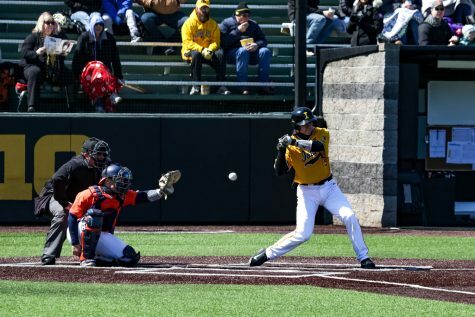 Overall, Baumann and the rest of the Hawkeye pitchers had a less than ideal first game of the doubleheader. Baumann managed 5 innings, but in his time, he gave up 4 runs on 8 hits. From there, Duncan Davitt and Trace Hoffman took over, and combined, they allowed 5 runs on 4 hits in 2 innings. 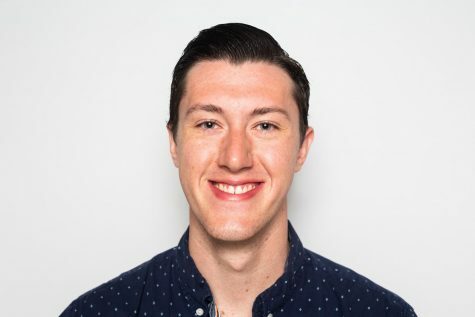 Shane Ritter pitched the final inning for Iowa, and he ended up being the only Hawkeye pitcher not to allow a run in the game. However, pitching wasn’t an issue in the series’ first game on April 12. 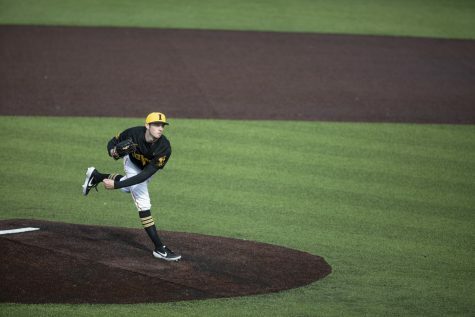 The Hawkeyes’ 10-4 win featured Cole McDonald’s usual magic on the mound; he pitched 6 innings and gave up just 1 run, 4 hits, and struck out 1. 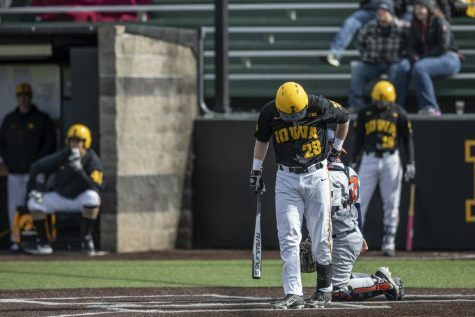 Offensively, Iowa’s 10 runs stand as the most in a game since March 9, when it hung 18 on Evansville. 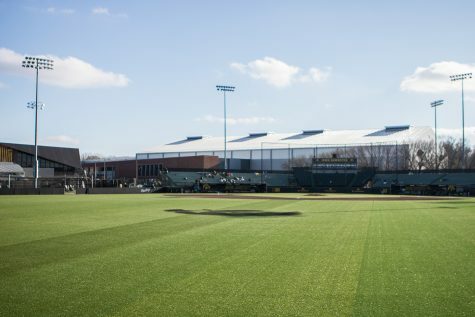 In the next week, Iowa has four home contests: a battle with Northern Illinois on April 16 and then a three-game series with Nebraska starting on April 19.